Samsung has launched a new color version of its popular dual curved screen phone, the Samsung Galaxy S7 Edge. The new edition is called Black Pearl. The phone which you see above, is the newly announced Black Pearl S7 Edge, and we have to admit, it does seem to be very similar in colour, to the Jet Black iPhone 7. Nevertheleless, the new S7 Edge does look to be dashing, and very stylish. 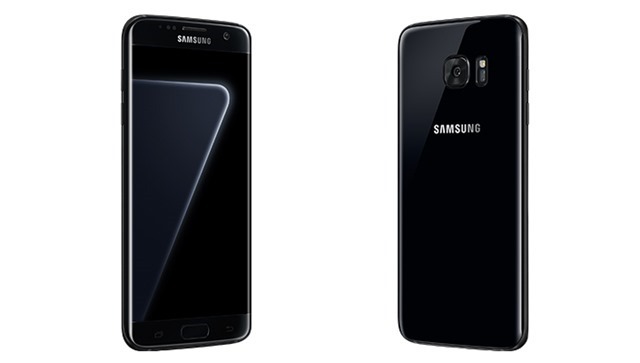 The new Samsung Galaxy S7 Edge Black Pearl variant will be avilable in one storage variant, in 128GB. The Samsung Galaxy S7 Edge, is already available in 6 other colors: White Pearl, Black Onyx, Gold Platinum, Silver Titanium, Blue Coral and Pink Gold. The last two colors were made available, a few months after the mobile was launched. It is unclear in which regions, the new phone will be available in. Samsung says that it will be launched in few countries only. We are very surprised that Samsung has launched a new variant of its 2016 flagship, with the launch of the Next Galaxy, the Samsung Galaxy S8 and the S8 Edge, just around the corner, (in late February or March, when the MWC 2017 tech show is held). The launch of the Samusng Galaxy S7 Edge Black Pearl, is likely to coincide with the Holiday season in the U.S, and EU, and liekly to attract former Note 7 users.